"I thought I could make it home safe." These are, unfortunately, words spoken way too late. There are about 17,000 alcohol related car accident deaths in the United States each year, this means that there is a drunk driving death every 31 minutes. Alcohol was a factor in 39 percent of all fatal accidents and in 7 percent of all crashes in 2004. Additionally about 248,000 people are injured in accidents where police reported that alcohol was present, thus one person is injured in a drunk driving accident in the US every 2 minutes. These incredible statistics reveal why drunk driving is a major public policy issue. Believe it or not, people in still, to this day, think it is "OK" to get in their car after drinking a lot of beers and alcoholic drinks and drive around. They do not care if they injure or kill an entire family, until it is too late. Drunk Driving isn't the only problem - Drug User Intoxicated Driving is also deadly. DUI stands for "Driving Under the Influence" of drugs and/or alcohol. Even prescription drugs. Anything that impairs someone's driving abilities and that impairment is a cause of the vehicle accident, then that is considered an accident that the drunk or high driver can and should, be held accountable for. Interestingly, and sadly, the drugged or drunk driver usually escapes serious injury or death and the persons that are sober sustain the major injuries or fatalities. This phenomenon is partly due the "relaxed" aspect that the inebriated driver is in at the very moment of the accident as opposes to the tensing-up that the straight driver does just before a known impending impact. 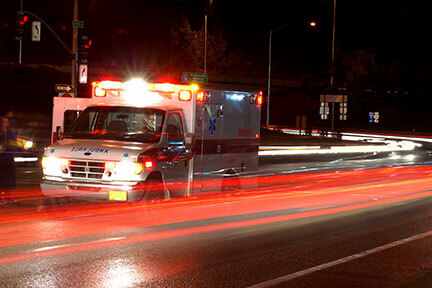 Contact a Personal Injury Lawyer immediately or as soon as possible. Keep in mind that insurance claims adjusters record conversations and try to destroy your claims by getting you to say things that might hurt your case. A seasoned drunk driving accident attorney is experienced in negotiating with insurance companies; therefore, it is best to consult a drunk driving accident lawyer in before you speak to the drunk driver's insurance company. The reason insurance company car accident adjusters try to quickly settle your DWI injury quickly is because they know law sometimes allows for the recovery of punitive damages in a car accident where their insured was drunk or drugged up. If you received a ticket or, worse yet, went to jail, but you truly feel that your drinking had nothing to do with the cause of the accident, e.g., you were rear-ended while stopped at a red light, it will be absolutely necessary to fight and win your DWI or DUI charge. If you win it, there may still be a chance for your drunk driving car wreck attorney to make a successful personal injury claim. If you do believe you have a drinking problem, the first step is to say so and seek help. The Alcoholic Anonymous program has, over the years, proven itself to be the best opportunity to "kick the habit" of drinking alcohol.